The southernmost island in the continental United States is going to the dogs at noon New Year’s Eve, when about 200 short-legged, long-bodied canines and their owners stage the 11th annual Key West Dachshund Walk. 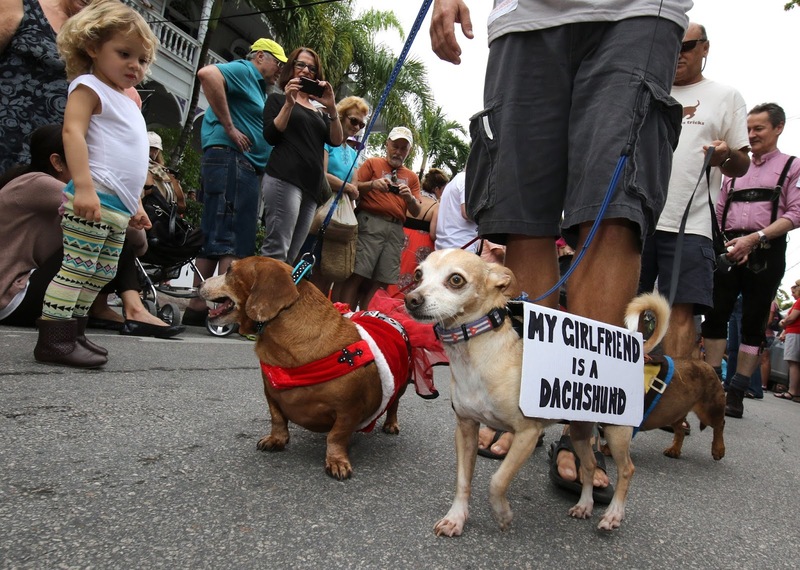 Dachshunds, their human companions and fans are scheduled to gather at the corner of Whitehead and Fleming streets for the parade of pooches through Key West’s picturesque downtown. While it isn’t mandatory, many canine celebrants wear whimsical costumes or accessories. Old or sedentary dogs ride in wagons or strollers decorated for the event. The parade typically features shorthaired, wirehaired and longhaired miniature and standard dachshunds. 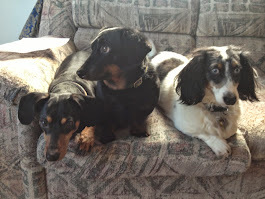 Each year a few dogs from other breeds join the tail-wagging celebration, becoming “honorary dachshunds” for the day. Standouts in the 2014 procession included a “horse” carrying a tiny jockey figure, “wieners” in oversized fabric buns, diminutive “dinosaurs” and a dapper wire-haired dog sporting a serape and sombrero. The walking route, deliberately kept brief in deference to the dachshunds’ short legs, is to encompass the 400 block of Fleming Street, 500 block of legendary Duval Street and entire one-block length of Appelrouth Lane. No registration or fee is required to participate, but donations of dog and cat food are requested for the community pet-food pantry operated by St. Mary Star of the Sea Outreach Mission.